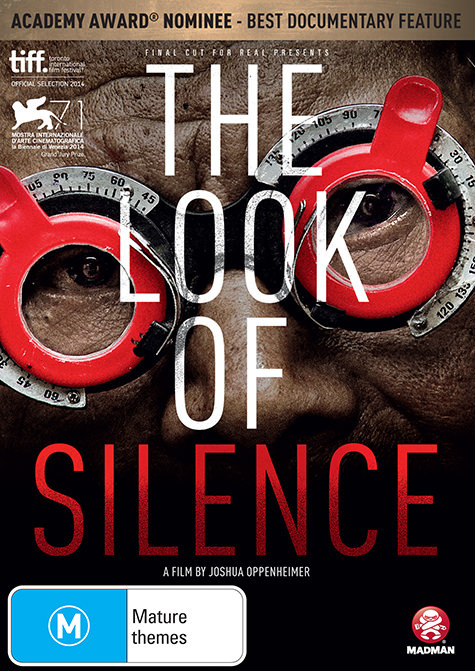 The Look of Silence is the second of Oppenheimer’s disturbing films investigating the mentality of those who perpetrated the 1965 mass slaughter of Indonesian citizens. While testing their eyes, an optometrist quizzes the people responsible for killing his brother. “The one certain lesson contained in both The Act of Killing and The Look of Silence is that without the restraint of law, power of any political stripe inevitably drifts towards slaughter. Power will always be able to justify itself, but once the line of arbitrary violence is crossed and endorsed, no amount of contrition will bring back the dead. Just ask Reza Berati” (Dan Edwards, RT 128, 2015).